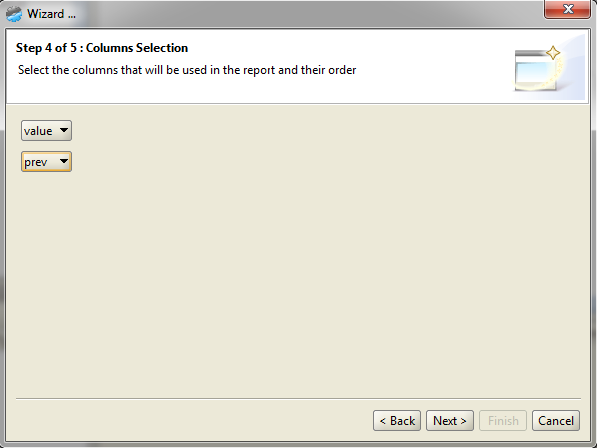 From version 7.2 of NextReports a new type of special report is added. This is Display, and you can read about it in previous post. 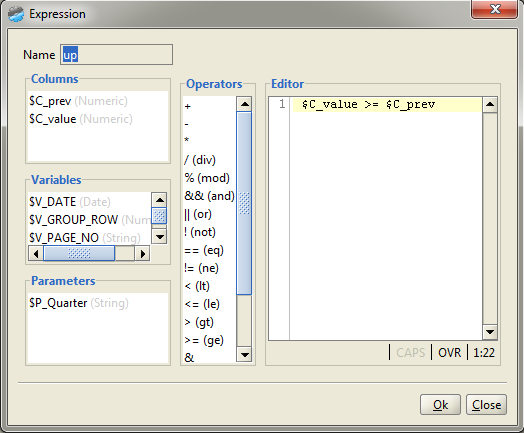 Header row band contains a title (in this case with a parameter value) and two boolean values for shouldRise and shadow properties described in previous post. This is just a comparison between current value and previous value. 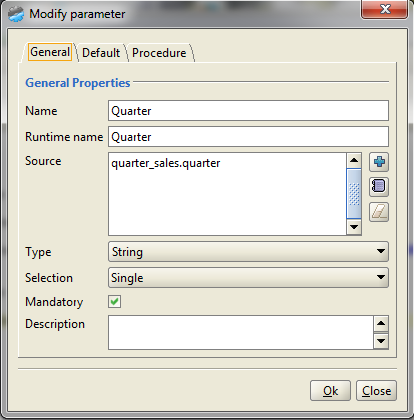 In our query "value" column contains the actual value and "quarter" column is the quarter string Q1, Q2, Q3 or Q4. This is the theory behind a "display" report. This type can be selected from report root node inside layout. 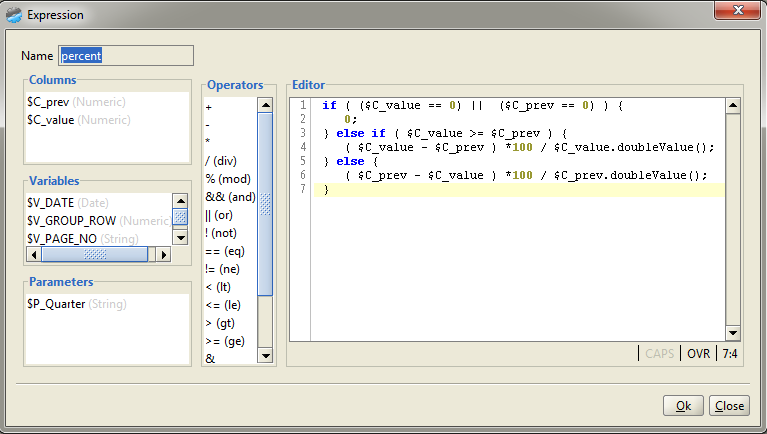 In our case, we enter the parameter inside title, we choose some colors and that our value rising is a "good" thing. By clicking finish we will obtain the layout shown at the beginning of this post. 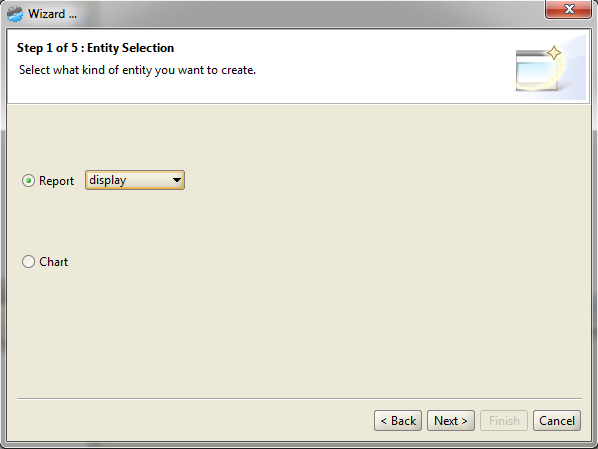 Automatically the generated report will have "display" type selected. 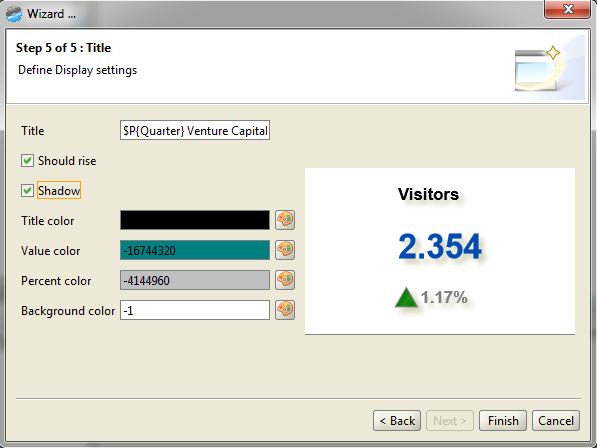 Although, server will allow to see "display" widgets in statistics and to search for this kind of reports.